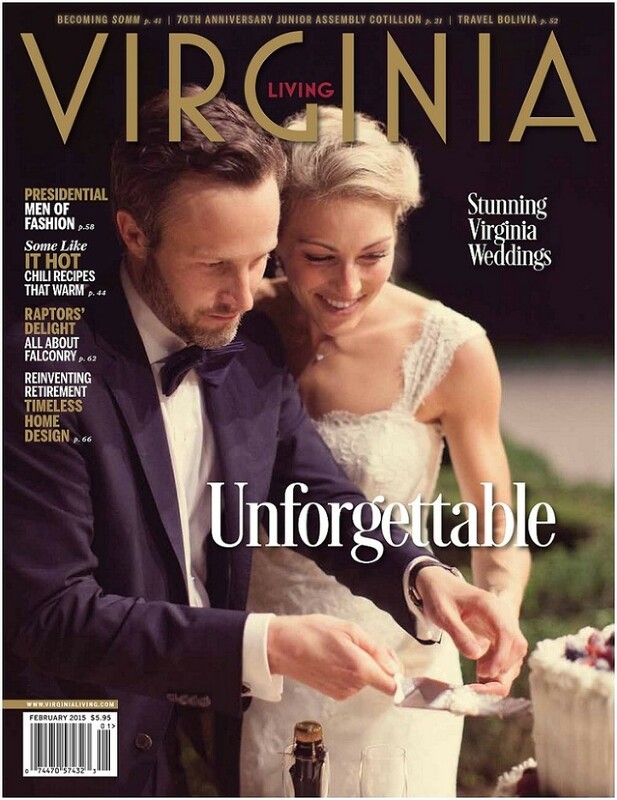 This is my first time having a wedding featured in Virginia Living Magazine and I am beyond excited! 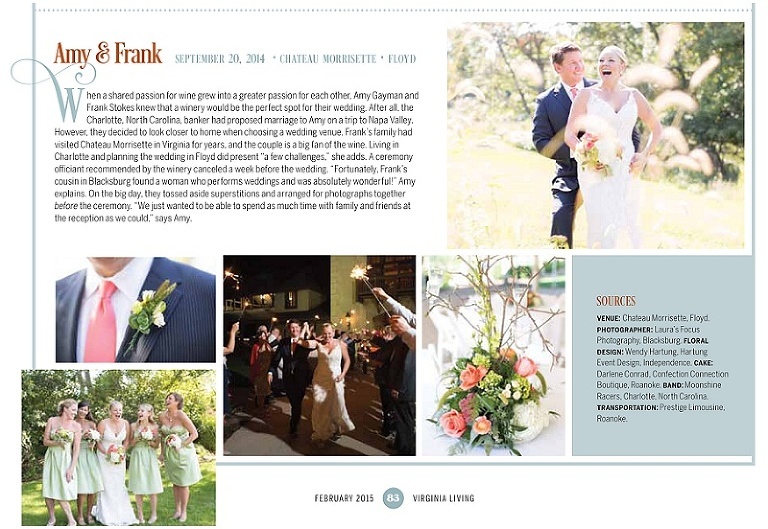 The magazine chose Amy & Frank’s beautiful winery wedding held at Chateau Morrisette in Floyd, Virginia. 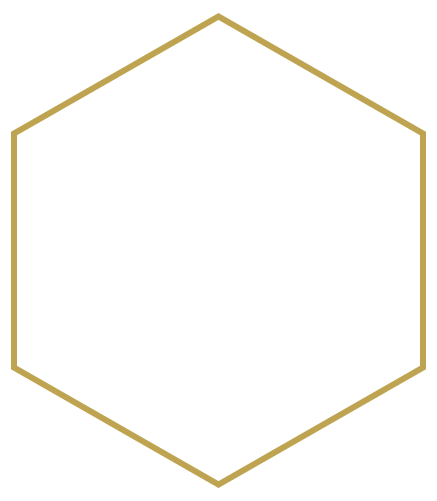 Below is the cover of the magazine and their spread which can be seen on page 83. Click here to see Amy & Frank’s full wedding blog story. Pick up your copy today and thank you to all of the vendors who helped to make this day so amazing!